Mr. Gasket Mechanical Fuel Pumps are available in 80 or 110 GPH models depending on your engine application. These pumps are designed to include most Chevrolet, Chrysler and Ford V-8 engines. 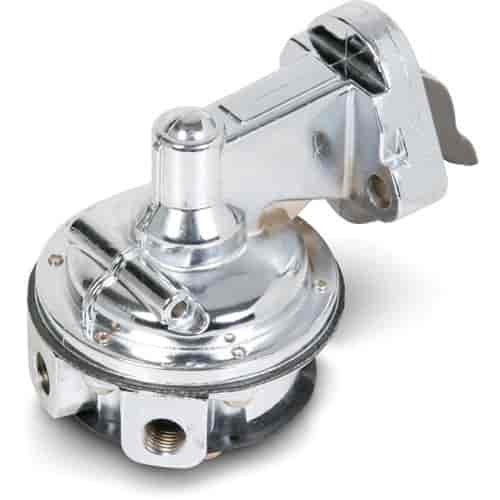 Suitable for both street and high performance racing applications when a mechanical fuel pump is desired or required. JEGS 15995 - Universal Fuel Hose 5/16 in. I.D. x 25 ft.
JEGS 15994 - Universal Fuel Hose 5/16 in. I.D. x 10 ft.
JEGS 15996 - Universal Fuel Hose 3/8 in. I.D. x 5 ft.